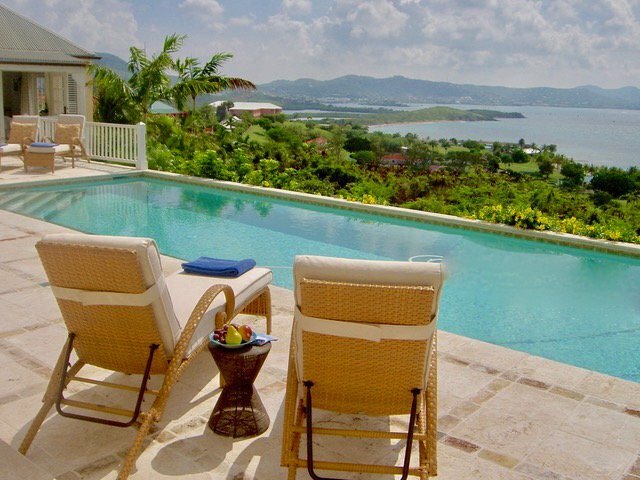 Mango Hill Greathouse is a four bedroom, four bath home located in the private, gated community of Estate Shoys in St. Croix. 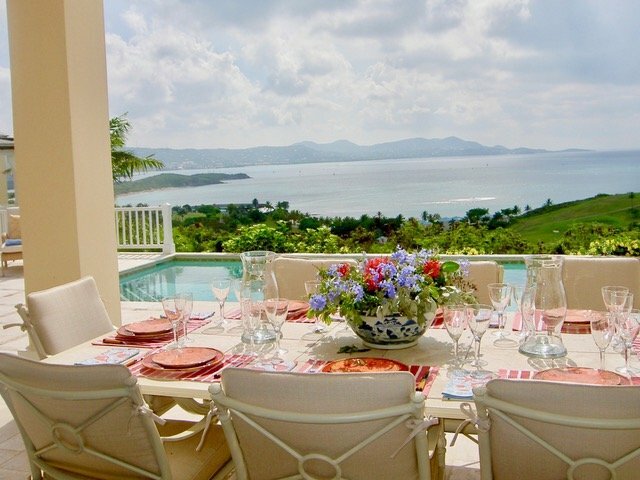 Overlooking The Buccaneer golf course, with spectacular views of the Caribbean Sea and the historic town of Christiansted, Mango Hill Greathouse is walking distance to two private beaches; five minutes from Christiansted’s shopping, restaurants and galleries; and less than one mile from tennis courts, a resort spa and 18-hole golf course. The two-story house offers the ultimate in privacy and comfort. The ground floor includes a coral stone entry hall, a spacious 14-foot ceiling living room, the dining room seating 14, and a gourmet kitchen and breakfast area. 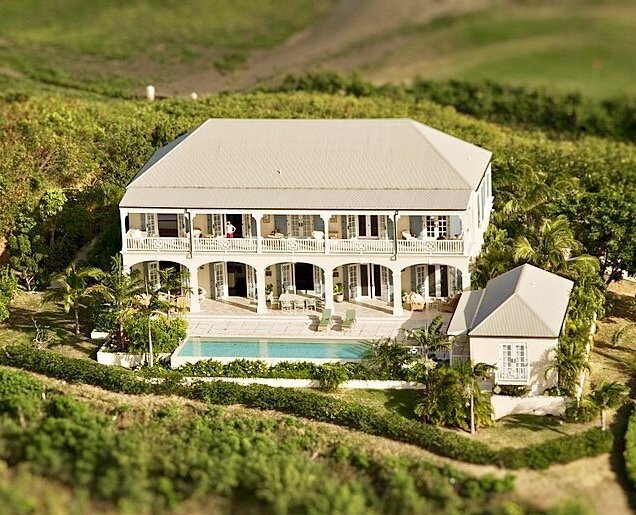 The second level has a 30-foot long library hall, three oversized en-suite AC bedrooms with sea views, and a 75-foot long covered furnished gallery. The A/C guesthouse has a fourth ensuite AC king bedroom with a balcony overlooking the sea and living room with bar. Outside is a 75-foot covered furnished gallery overlooking the pool and sea beyond, with al-fresco seating for 14, lounge areas and reclining chaises, and a private outdoor shower. Photographed by Architectural Digest, Mango Hill Greathouse is an art lover’s paradise. 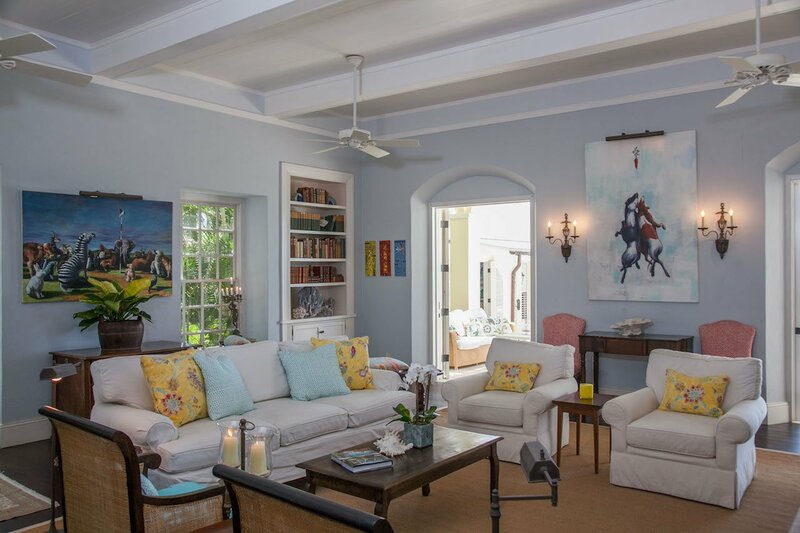 The owners’ collection of Cuban and West Indian art is available privately for purchase by guests and friends. 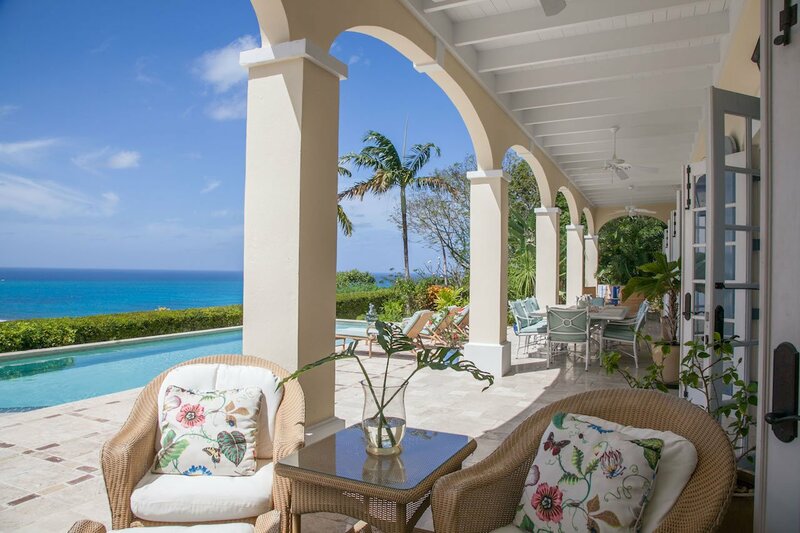 Comfort, privacy, casual elegance, endless ocean views, cooling hilltop breezes, and a premiere location define Mango Hill Greathouse.